The poultry barn at the Minnesota State Fair is one of my favorites every year. 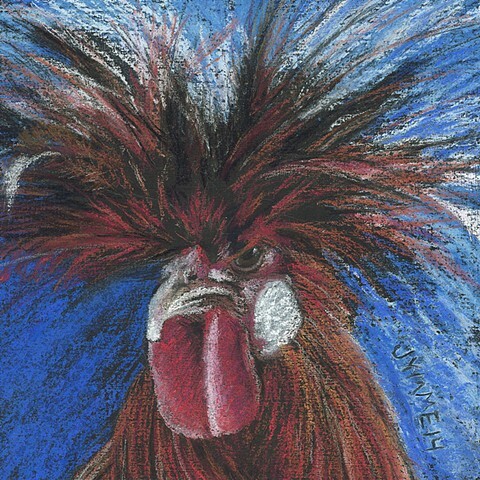 Finally just for the fun of it, I started a series of small paintings of the magnificent ornamental chickens. This guy was so much fun, I might have to do a larger portrait of him.